Some real-life situations have highlighted a need to amend the Fugitive Offenders Ordinance, says a spokesman of the Ministry of Foreign Affairs - marking the first time the central government has spoken publicly on the extradition law. Lu Kang, speaking in Beijing yesterday, said the bill amendment is a necessary arrangement between Hong Kong and other regions and countries. Also speaking in the capital, Zhang Xiaoming, director of the Hong Kong and Macau Affairs Office, said he welcomes the proposed amendment so the SAR would not become a paradise for fugitives. 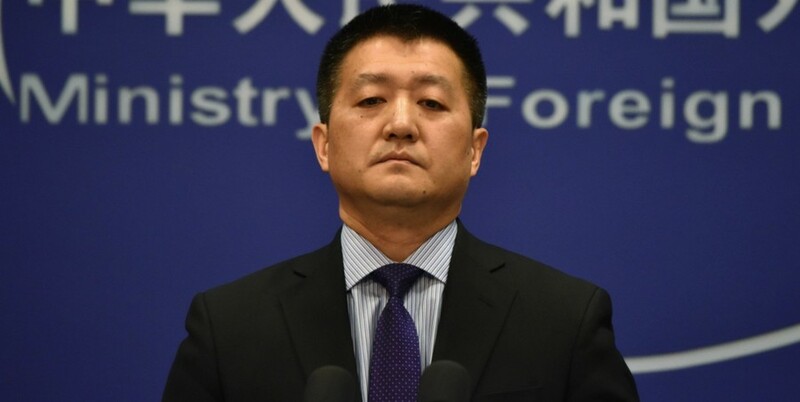 Lu said the Hong Kong and Macau Affairs Office and the Office of the Commissioner of the Ministry of Foreign Affairs of the People's Republic of China in Hong Kong have earlier stated their stance that the amendment is an internal affair within the SAR government and other countries have no right to intervene in the issues. He said Beijing is against any country that attempts to make a fuss over the topic or step into Chinese internal affairs. Sources said Zhang told members of the Law Society of Hong Kong in a meeting yesterday that the proposed amendment guaranteed political criminals would not be extradited and the public should not be worried. Their comments came as members of the legal subsector for the Election Committee called on the government to withdraw the amendment for the fugitive law. Earlier, Britain also formally raised concerns about the matter. Thirty members of the legal subsector for the Election Committee - which made Carrie Lam Cheng Yuet-ngor chief executive in 2017 - issued a joint statement yesterday calling on the government to withdraw its plan to allow one-off extraditions to places Hong Kong does not have formal treaties with, including the mainland. They warned that if the proposed legal reform is passed, it would severely undermine the international community's confidence in Hong Kong's criminal justice system and its commitment to protecting human rights. Among the signatories were prominent names in the legal industry, including Hong Kong Bar Association chairman senior counsel Philip Dykes, former Civic Party lawmaker and senior counsel Alan Leong Kah-kit, University of Hong Kong faculty of law principal lecturer Eric Cheung Tat-ming, and former Independent Commission Against Corruption chief investigator Stephen Char Shik-ngor. The petition said the exclusion of the mainland from any surrender arrangements with the SAR was not a loophole but a deliberate choice made by lawmakers over 20 years ago. Such exclusion was a result of grave concerns over the protection of human rights, the rule of law and other unsatisfactory aspects of the criminal justice system in the mainland. "Compared to the special surrender arrangements proposed in the bill, the government clearly has better alternatives in tackling the Taiwan homicide case," the petition said. It said the SAR government can enter a memorandum of understanding with Taiwan for a one-off rendition of the suspect or extend the jurisdiction of local courts over homicide cases committed outside the city when both the suspect and victim are SAR permanent residents. Secretary for Justice Teresa Cheng Yeuk-wah said she believes Secretary for Security John Lee Ka-chiu would consider the opinions in the petition. "From the rule of law point of view, we need to handle fugitives in a systematic manner, rather than doing it case by case," she said. Asked if she would make the law non-retrospective to ease public concern, she said it is not likely to exclude cases that happened before the bill amendment, as most fugitives are involved in offenses committed in the past. Britain formally raised concerns about the proposed amendment to the Hong Kong government late last month, with consul general Andrew Heyn speaking directly to Lee and Secretary for Commerce and Economic Development Edward Yau Tang-wah. In a letter published by the Britain-based pressure group Hong Kong Watch yesterday, British Foreign Secretary Jeremy Hunt told former Hong Kong governor Chris Patten that the United Kingdom has also broached the issue with mainland authorities.